New generation spun bonded polypropylene cartridges are the best solution for sediment filtration, removing rust particles, sand, silt and other particulate deposits from liquids. 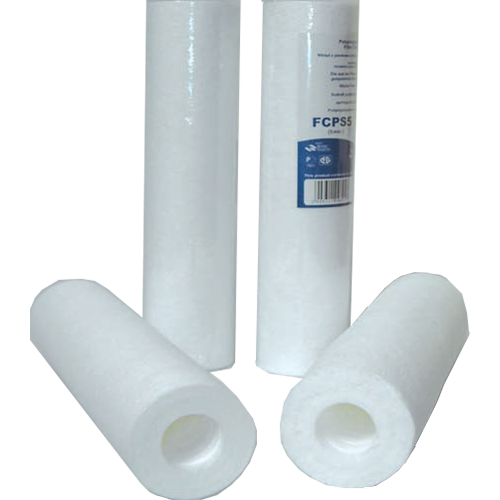 High-grade polypropylene fibre with increased solids holding capacity, is resistant to many chemicals and bacterial growth. Special technology is used to manufacture these cartridges, which provide accurate filtration ratings from 1-50 microns. We can also offer a wide range of Wound Depth Cartridges to cover a large number of applications please contact us for full details.